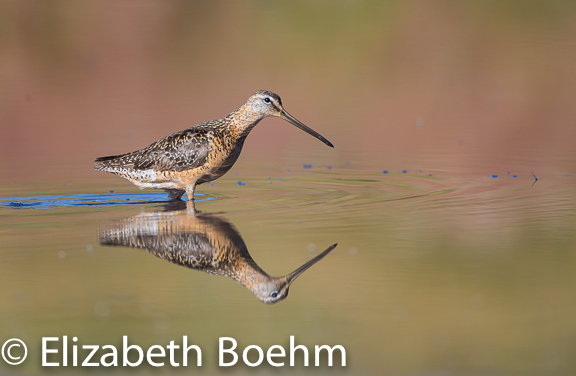 By mid August early signs of fall migration are starting and a number of different bird species will head south via western Wyoming. I like to keep an eye on a local mudflat and watch the shorebirds come through, practicing my “non-breeding” plumage ID. This can be challenging and it is a necessity to pay attention to size and shape. 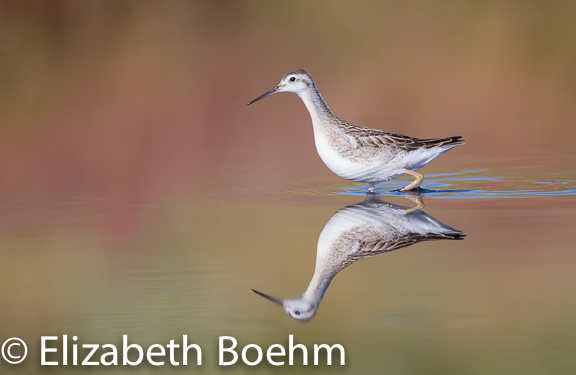 Now, Sublette County is not known for it’s large flocks of shorebirds such as you may see on the coast or near large, inland lakes but we do get small flocks and individual birds that keep me guessing; such as the bird at the top of this blog. 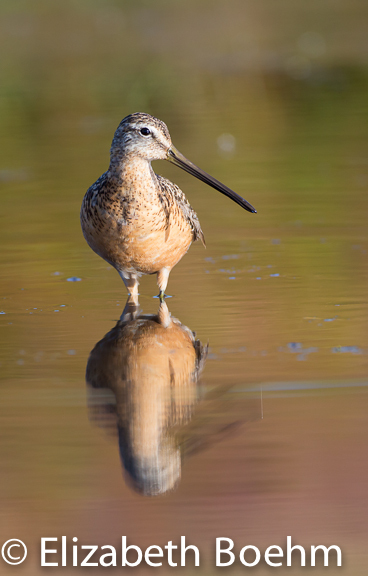 Is it a Long-billed or a Short-billed Dowitcher. It hasn’t made a call thus I have no voice for help. I, along with several experts, are hedging towards a Long-billed but it is in the process of molting, making it difficult to be positive, and the two birds, Long and Short-billed are very similar in appearance. I like to sit at this stinky, bug ridden mudflat as the foliage reflecting on the water creates great color for the background of my photographs. It is beautiful on a calm morning with first light coming over the mountains. A different cast of characters is present each day, never numerous, but there has been at least one cooperative soul each morning. Initially a small group of juvenile Wilson’s Phalarope were working the water surface, several of whom were quite fearless of me as they came in too close for my lens to focus. They were gone this morning thus I am believing they have moved on with the recent storms. I hope for a few more to stop and refuel on their journey south. They were quite entertaining, chasing after a variety of insects on the surface of the water. 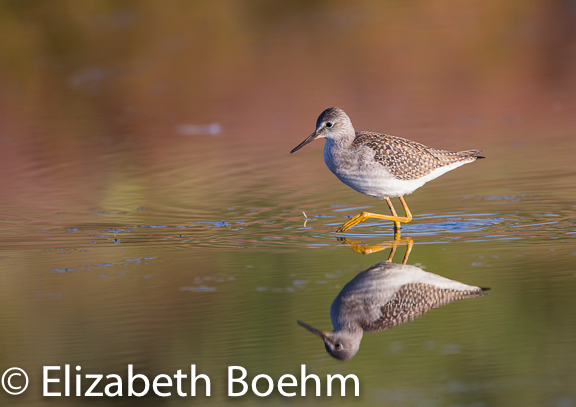 A Lesser Yellowlegs was present on several mornings. Very aware, he chose to ignore my presence on several occasions and came in close for photos. He was beautiful and easier to keep in focus than the phalaropes which were in constant motion with bobbing heads. 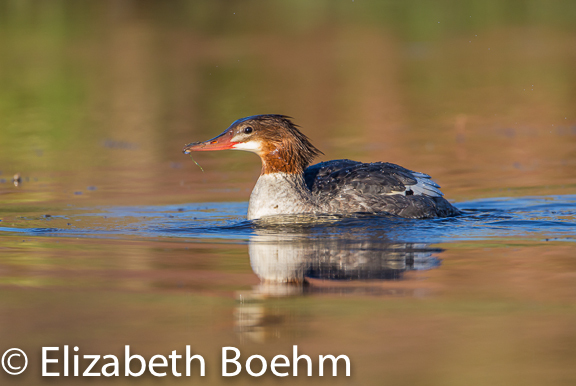 A family group of Common Mergansers have been in the area all summer and they make quite a ruckus as they snorkel under water looking and then chasing their prey. I did receive a brief encounter (as they are very wary). I was sitting around a corner and a juvenile came snorkeling by getting sight of me on the second head lift. I was ready and fired off several quick photos. With the reflective water, it was a beautiful set up. 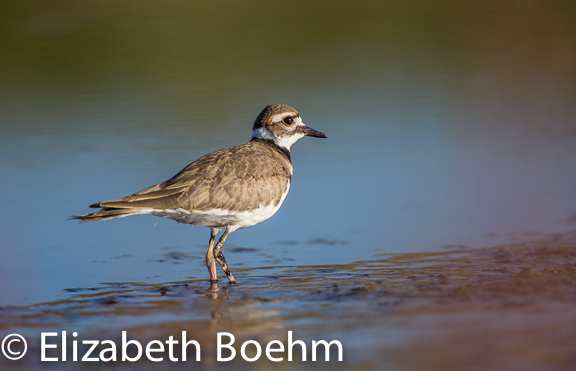 The local Killdeer and Spotted Sandpipers have been scattered along the shoreline also. 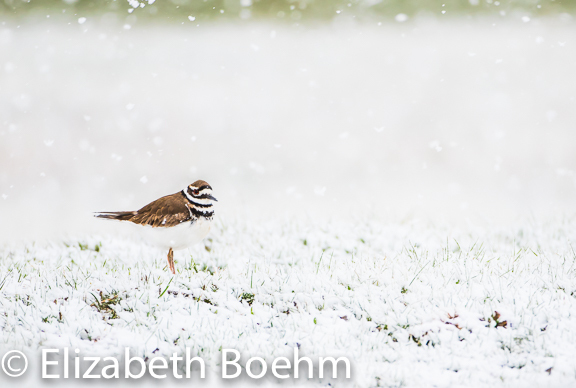 I felt as though I was “winning” if the alarmist Killdeer did not call out my presence to the other birds. 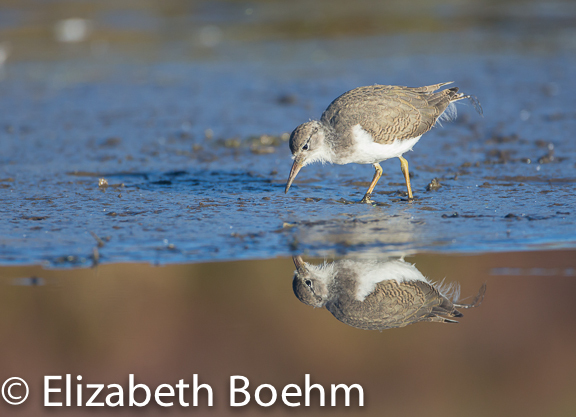 I did notice all of the birds would raise their heads and pay attention to what this small shorebird was reporting. The Killdeer and the Spotted Sandpipers are wary of my lens but on rare occasions they did approach close for photos. The photos showed various amounts of down on these birds telling me they are young of the year. The Killdeer still had down on the end of the tail feathers and the Spotted Sandpipers had various amounts of down hanging on to the edge of their feathers looking quite comical and scruffy. The Foxtail grass is starting to lose it’s color now, decreasing the vibrance of the reflective water. I will continue to work the shoreline in hopes of numerous migrants coming through. It is good practice to ID these birds and to also sit quietly in one place, something we don’t do much of these days.